West Chester, PA – Lamb McErlane PC Chairman & Managing Partner Joel L. Frank presented in Harrisburg to the Anne Anstine class of Republican Women on the topic of Election Law. He also spoke to the southeastern chapter of the Republican National Lawyers Association (RNLA) in Philadelphia regarding Pennsylvania’s role in the 2020 elections, with a preview of efforts to ensure open, fair, and honest elections. The Anne B. Anstine Excellence in Public Service Series is a professional leadership program. The Anstine Series aims to provide Republican women with the background, skill set and network to assume decision-making positions at all levels of government, in the community and in the party structure. As the principal national organization of Republican lawyers, the RNLA has a targeted set of missions, including election integrity, continuing legal education events and advancing the careers of its members. At Lamb McErlane Joel concentrates his practice in commercial and civil litigation in state and federal courts, election law as well as attorney discipline, judicial discipline and ethical matters. He is rated “AV Preeminent” by Martindale-Hubbell and has been named a Pennsylvania Super Lawyer for general litigation every year starting in 2005, which is an annual recognition obtained by only 5% of Pennsylvania’s attorneys. Joel provides counseling to a number of corporate clients and often serves as an arbitrator and mediator. 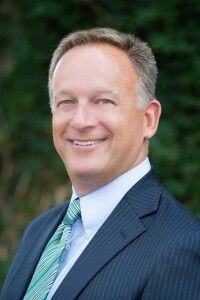 Joel is highly regarded among his peers and clients for his service and leadership roles in numerous business, civic and charitable organizations. He serves as Chair of the National Board of Directors for Alex’s Lemonade Stand Foundation and is a member of the Board of Directors of the Zoological Society of Philadelphia (Philadelphia Zoo). He is a Commissioner on the Pennsylvania State Athletic Commission and is the longtime Solicitor for the Republican Committee of Chester County and the Chester County Police Chiefs Association. Most recently, Mr. Frank was named General Counsel for the Republican Party of Pennsylvania and elected to the Board of Directors of First Priority Bank, and its parent company First Priority Financial Corp.